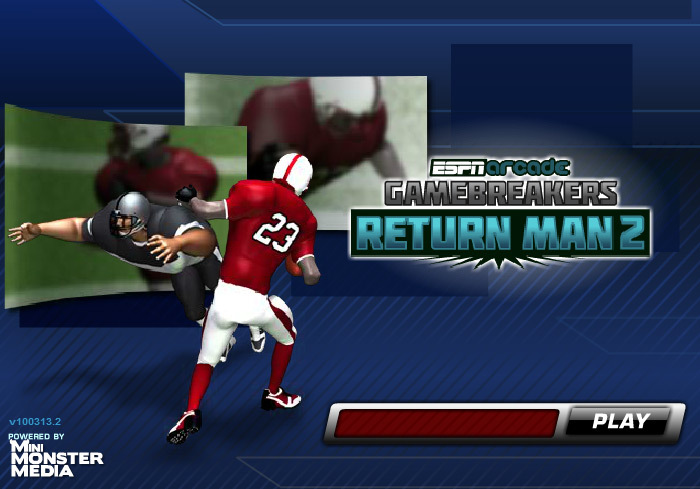 Return Man 2 is now unblocked and can be enjoyed by everyone, anywhere! 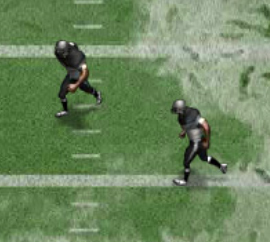 Play Return Man 2 at school, at home, at the office, or anywhere you feel the urge to add a little football to your life. 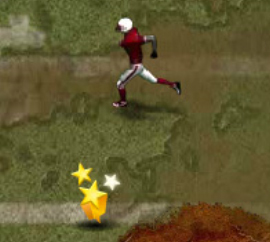 If you think you have what it takes to play as the star football player, running the ball down the field and into the end zone for the winning touchdown, then test your abilities in this action packed game today. 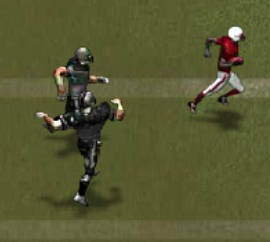 In Return Man 2, you play as the star football player on an official football team. 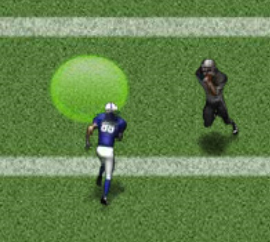 Your objective is to catch the ball within the yellow circle, then run it down the field in time to make the winning touchdown. 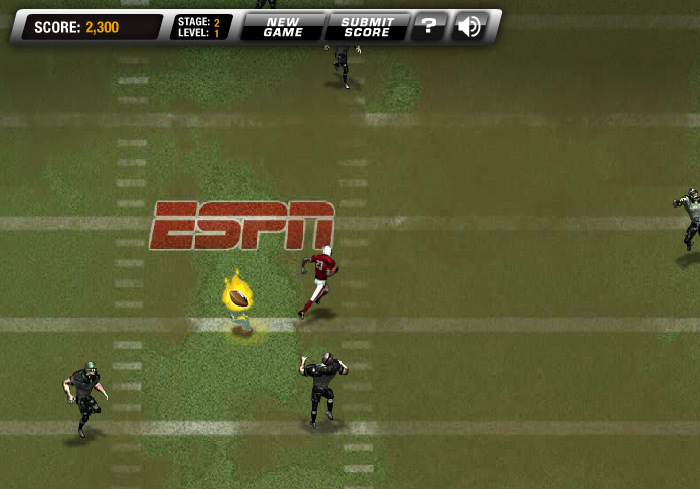 Avoid the defending team’s blockers and rush past their star kicker while dodging your way around various other obstacles to reach the end zone. 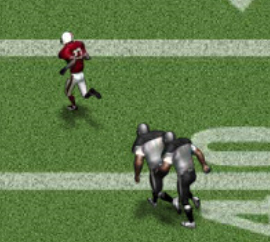 If you get tackled by the opposing team, or fail the objective for any other reason, you will lose possession of the ball and its game over for that level. The default player control keys are easy to use and remember. Your directional keys are the I, K, L, and J keys on your keyboard. Once you’ve unlocked special moves, you can begin using those by pressing the A, S, and D keys. Additionally, pressing the space bar will allow you to select the “continue” button between levels, and pressing the M key during any level will allow you to easily mute the game’s sound. This unblocked version of Return Man 2 offers 15 different stages for players to complete. Each stage includes different levels that a player must successfully complete in order to advance to the next stage. 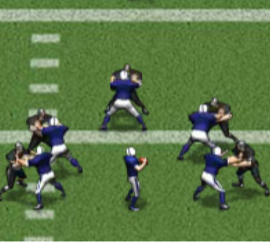 Throughout each stage, you are allowed four possessions. 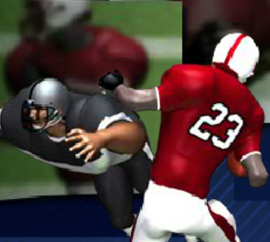 If you are tackled by the opposing team’s defender, you will lose a possession. Lose all four possessions and the game is over for that level. However, all of your previously completed levels will be saved so you can easily restart a level in order to advance. If you’re struggling to complete a level, try keeping some of these pro tips in mind to help make your way to the end zone. Scattered throughout the field, you may find certain power-ups that you can take advantage of, for instance speed boosters. 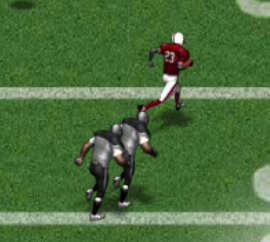 You can easily identify the speed boosters on the field because they look like a lightning bolt. Plan your special moves wisely. Run backwards if you have to! Sometimes it’s okay to lose yardage in order to gain it later, and in many cases, this could help you make it to the end zone. 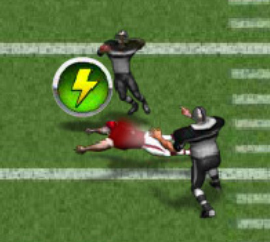 Make sure you place your character within the yellow circle as early as possible in the game. On the snowy levels, try to stay away from the ice patches as much as possible, and time your running and stopping periods well. Just like in real life, your character will slip and slide on ice patches. Return Man 2 is now offered in an unblocked version so that players everywhere can play while at work, at school, or at home. 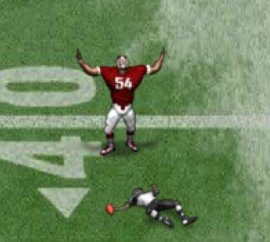 Just try not to shout too loud when you score the winning touchdown – you don’t want to get into trouble by your teachers or co-workers!